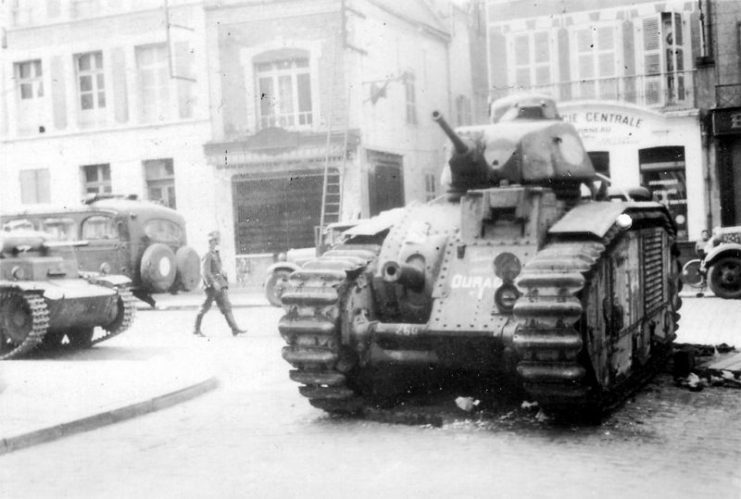 During the interwar period, France was the military powerhouse of Continental Europe. 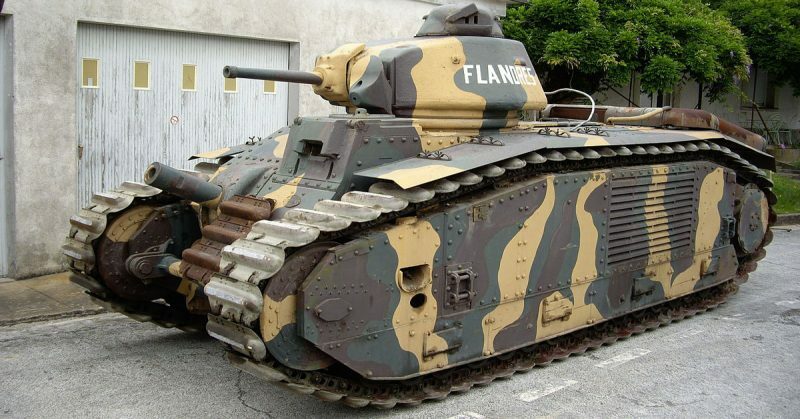 Being victors of the First World War, the French began to develop weapons technology as well as to finance a massive standing army. 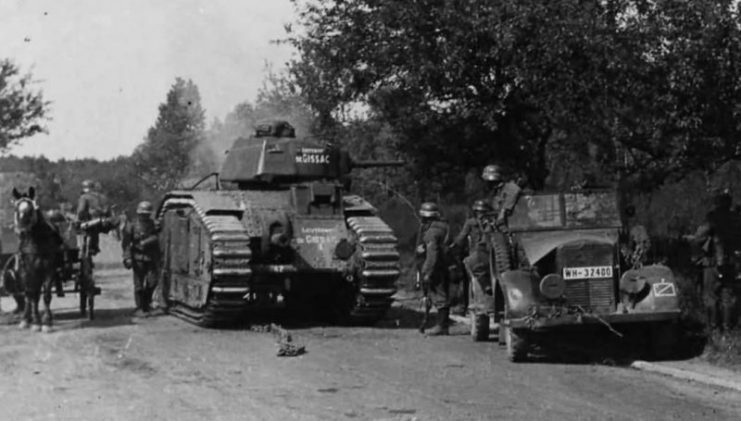 As such, they took on a leading role when it came to the mass production of tanks which were, in the 1930s, considered state-of-the-art weaponry. 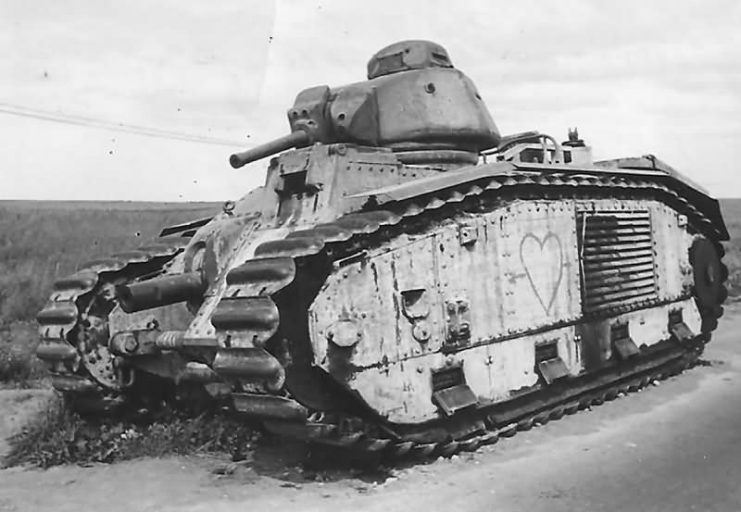 Even though French tanks were advanced for their time, the doctrines under which they were operated still dated from the Great War. 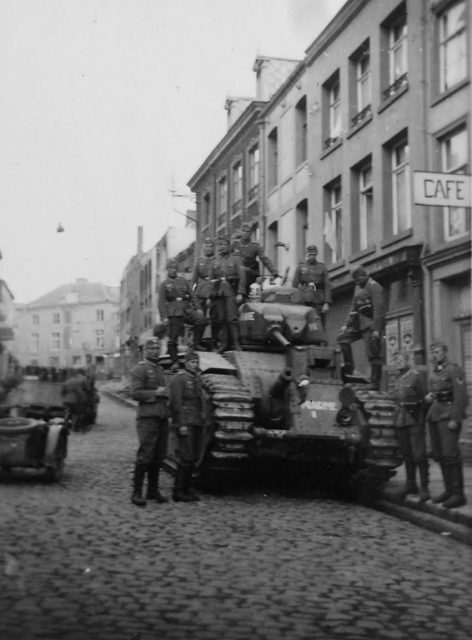 The emphasis was on their offensive role during large-scale breakthroughs of fortified and entrenched frontlines. 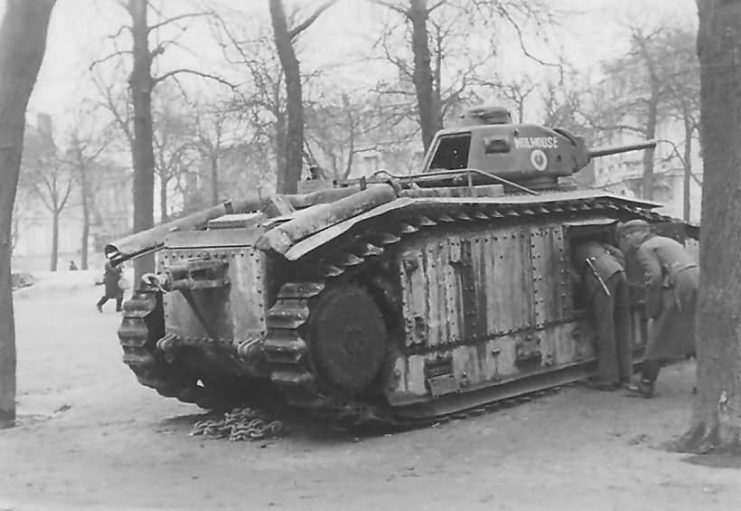 On that basis, the Char B1 sported a design very reminiscent of the early British Mk I tanks. 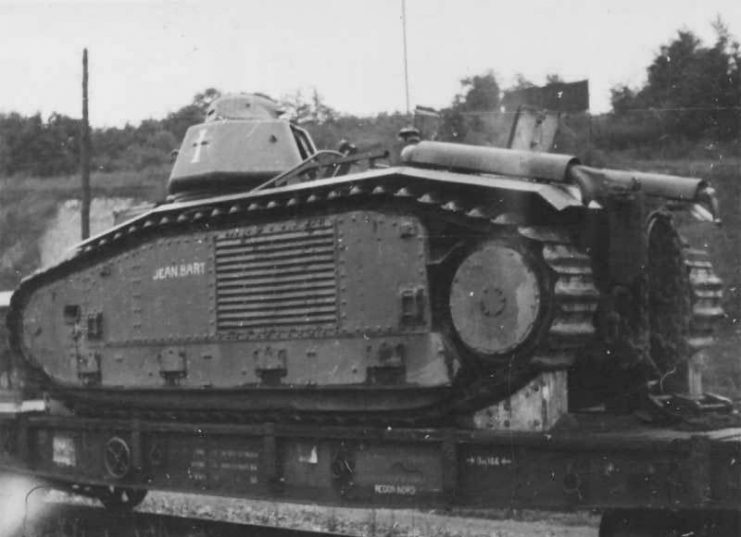 It had large tracks going around the entire hull and armor plates protecting the suspension. 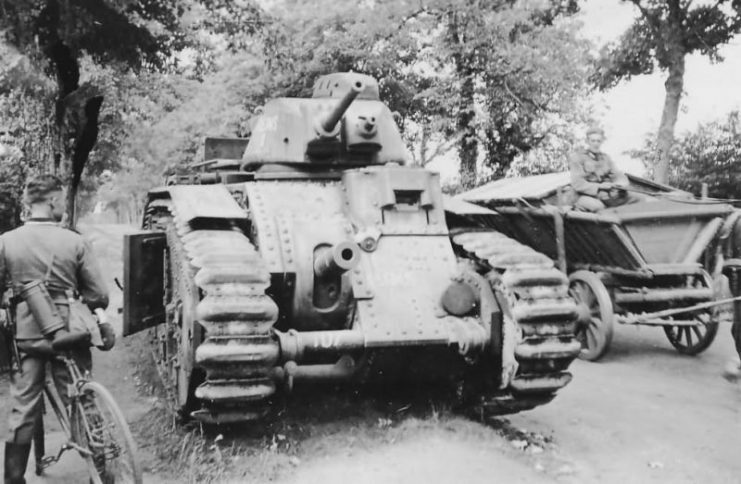 The turret provided room for only one person which meant the tank commander also had to be the gunner, making his role extremely difficult indeed. 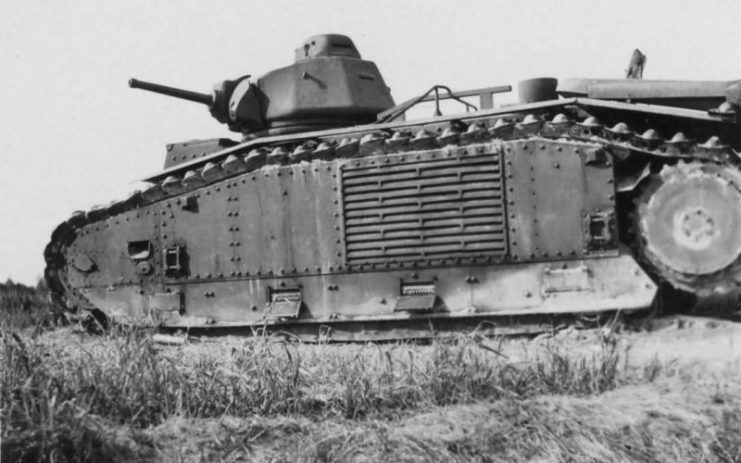 By the 1940s, this concept seemed centuries-old, especially given the surge of investments to tank-related technology during the war. 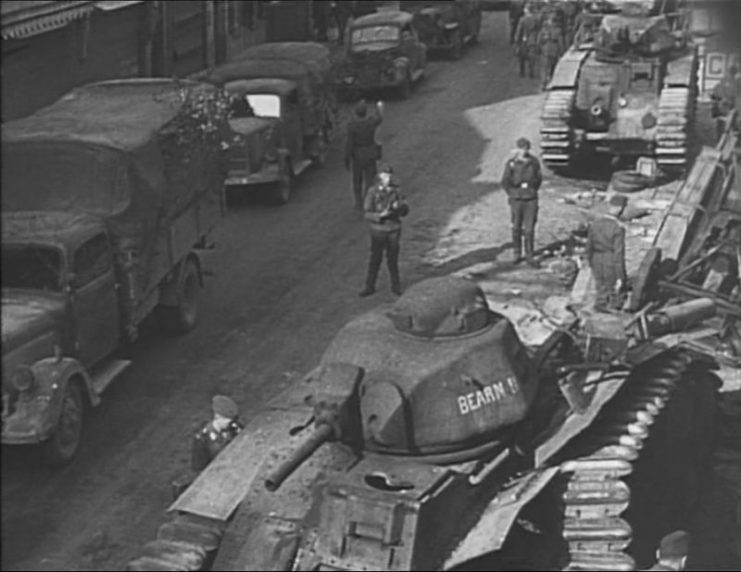 As such, when the Germans invaded France in 1940, it very quickly became clear that the Blitzkrieg was the future of armored combat. 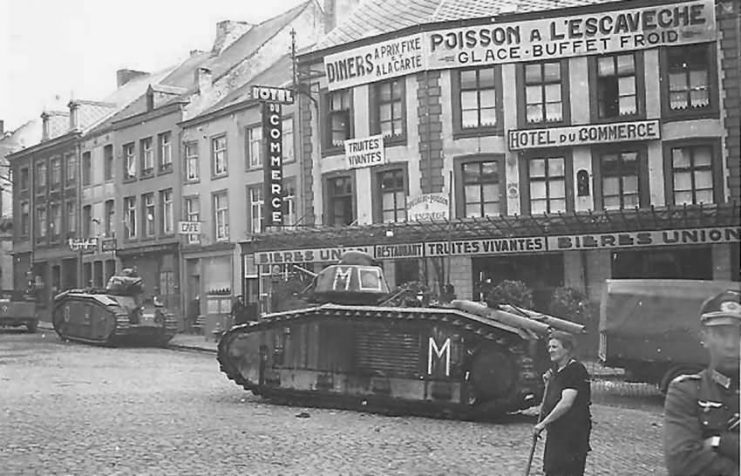 The static warfare that had been characteristic to WWI Western Front fighting was now a thing of the past. 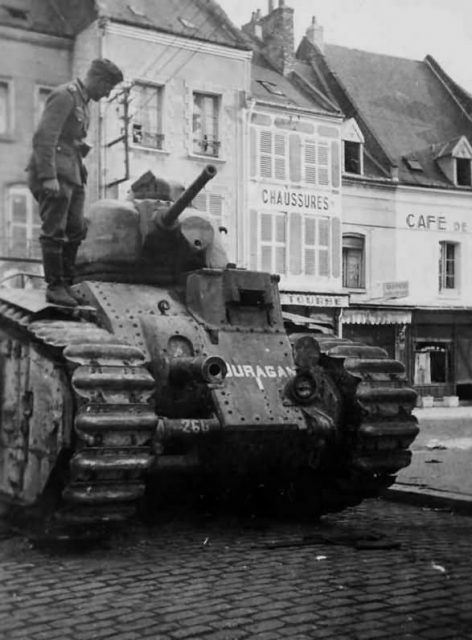 It wasn’t long before the front line in France collapsed, leaving pockets of resistance and a lack of communications between the scattered divisions. 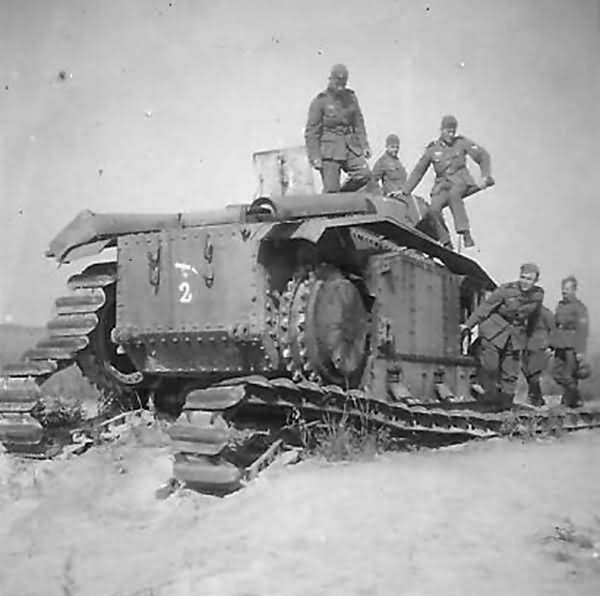 The Char B1 tanks proved more than capable at tackling enemy armor, which at the time mostly consisted of light tanks such as the Panzer I and Panzer II. 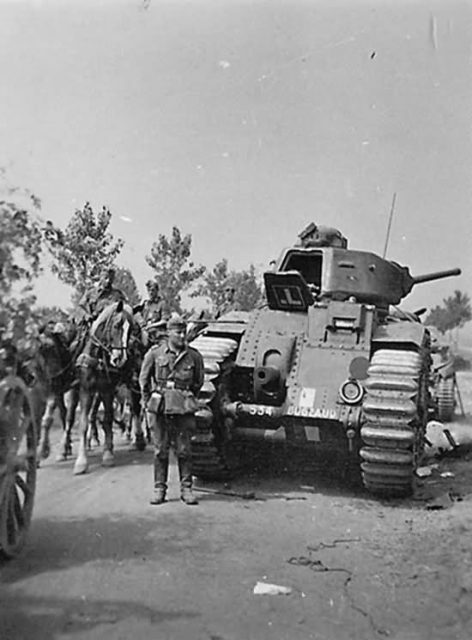 However, the general lack of coordination between infantry and artillery proved fatal for any strategic advance. 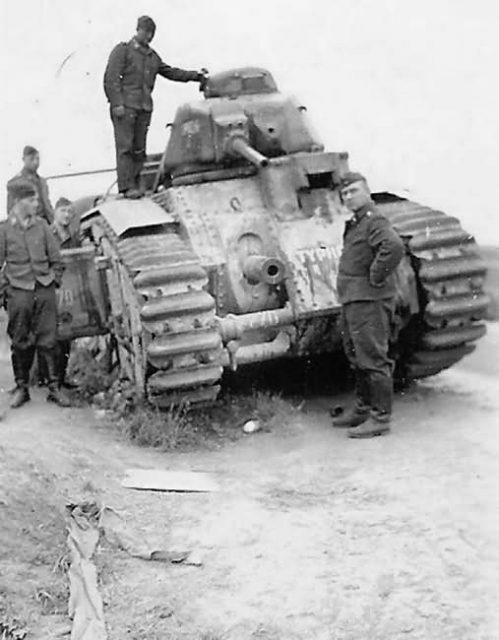 Another flaw which plagued the Char B1 and played a vital role in limiting its effectivity was fuel. 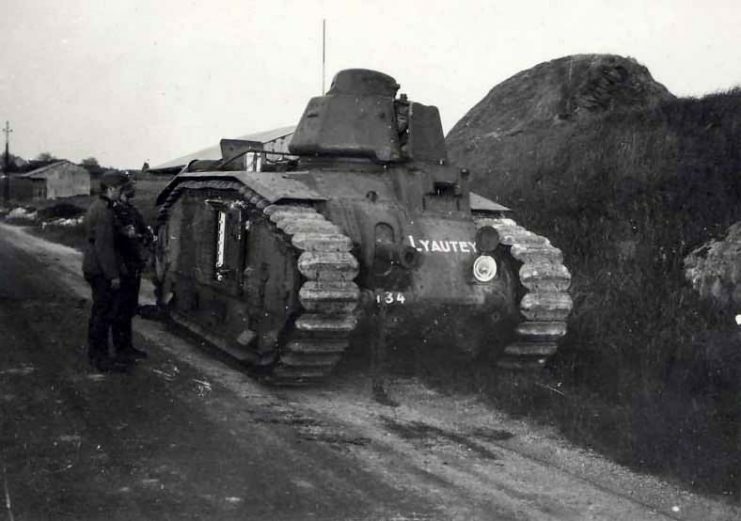 The tank had a high fuel consumption, as it was never designed to be constantly on the move. 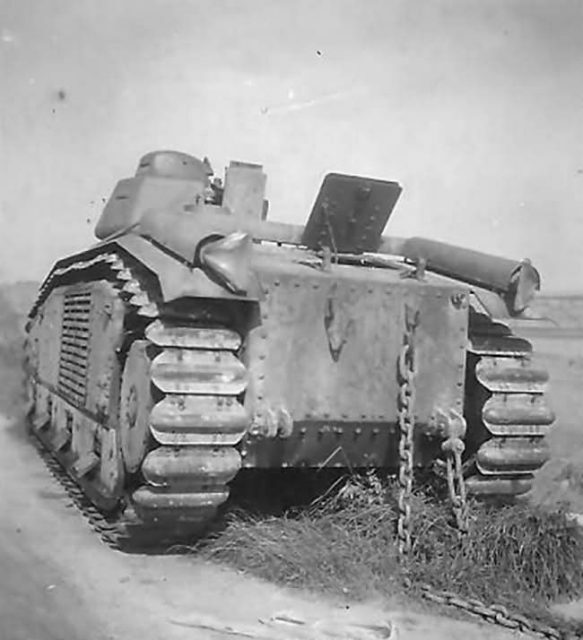 Its role was more like that of a battering ram: intended to be used for one big push against an enemy fortification, after which it would replenish its fuel and get repaired if necessary. 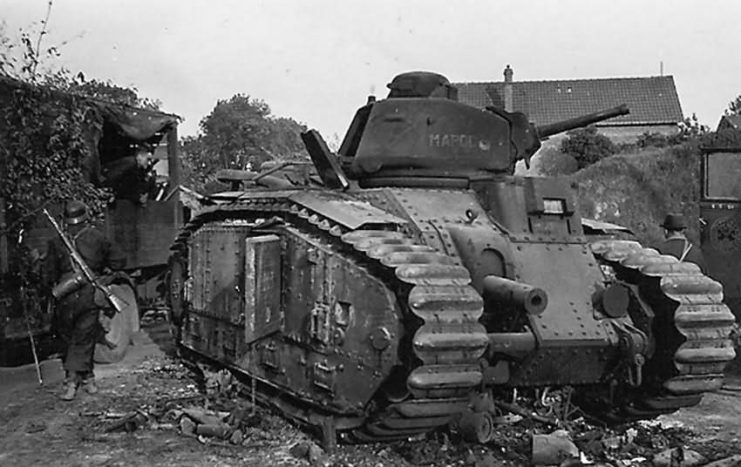 The poor features of the B1 helped to bring about the fall of France. 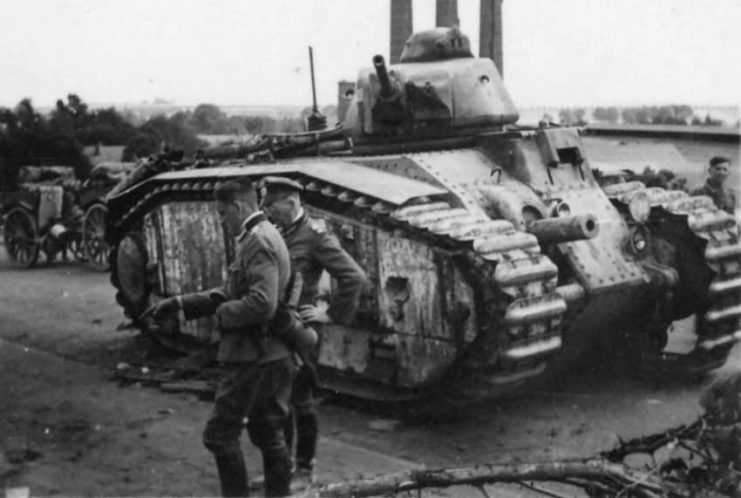 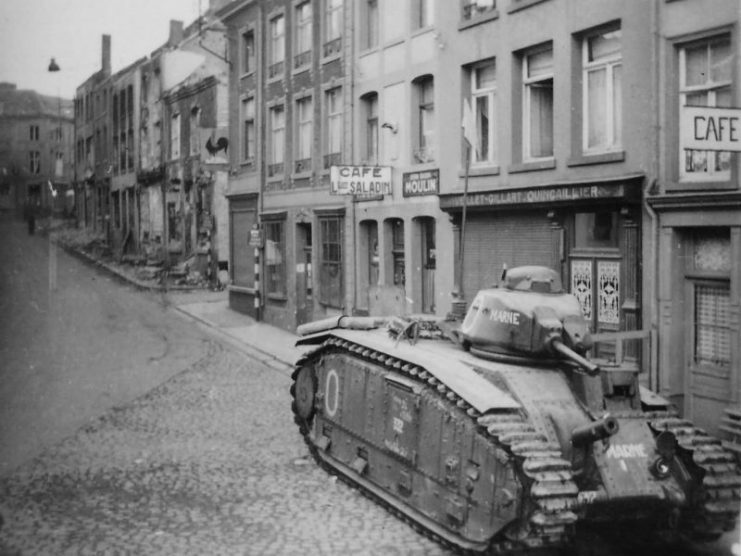 While the Germans invested in well-timed and well-combined attacks which included a high level of cooperation between tanks, artillery, infantry, and aircraft units, the French were still living in the glory days of WWI and failed to keep up with the times. 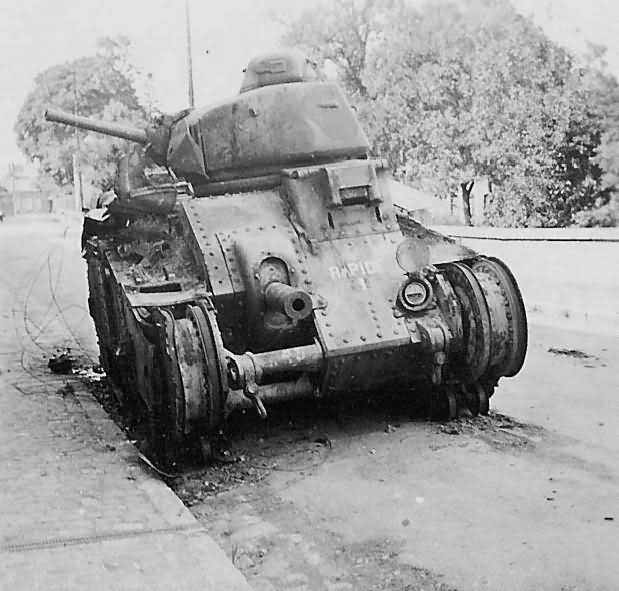 French B1 bis tank s/n 260 Ouragan, of 8e BCC, after its captured by German forces in 1940.